The case of Parma demonstrates that pay-as-you-throw and kerbside separate collection do not need to cost more to deliver results. 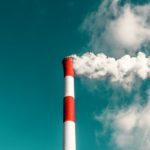 A recent report by the UIL (one of the major trade unions in Italy) highlighted the increasing waste bill for families over the last 4 years across the country. The report compares the top 100 Italian cities using a sample family of 4 people occupying an apartment of 80 square meters. It is difficult to make direct comparisons between regions across Italy due to the wide range of situations, with regards to assimilation criteria, disposal costs, town waste strategies, and household habits, etc. Therefore it can be more useful to compare municipalities which share certain key characteristics and regional specificities. With this in mind it it is useful to compare , it is useful to compare the results of the comparative performance between the three westernmost capitals in Emilia-Romagna (Piacenza, Parma and Reggio Emilia) all of which share the same waste collector (Iren Ambiente). Across the Po Basin there has been the recent adoptation of a single disposal fare but which allows for different strategic choices made by each local administrations with regard to collection schemes applied in the territory. 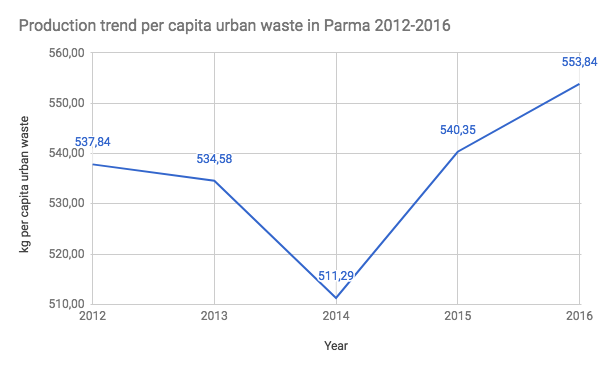 So let us look at the city of Parma, which was able to increase separate collection of waste, reduce residual waste per capita, and increase the effective recovery rate whilst simultaneously reducing the average household waste bill (see Table 1). Main collection scheme (in 2016) Waste containers on the road for plastics, metals, garden waste and glass. Kerbside collection for paper/cardboard, residual waste and food waste (in some boroughs these 2 latest are still with waste containers on the road) Kerbside collection for 4 streams with pay-as-you-throw billing (paper/cardboard, residual waste, organic, plastics/metals). Containers on the road for garden waste and glass. Waste containers on the road for 5 streams (paper/cardboard, residual waste, organic, plastics, glass/metals). Kerbside collection for garden waste. The Regional Waste Management Plan set a 70% recycling target, and 20-25% reduction of the production of waste per capita to be reached by 2020. Today, thanks to the political drive of the local government, Parma is at a level of 80% of separate collection, and has reached and in some cases substantially exceeded all of these goals, except for the total urban waste production per capita that after falling during the first 2 years of the plan, rising slightly in the last 2 years most likely due to the end of the economic crisis the increase in tourists in the city (+ 25% between 2012 and 2017). In contrast the nearby cities of Piacenza and Reggio, have continued to rely on free roadside containers access, and are still a long way from reaching targets of the Plan. From the economic perspective, over the four year period of the UIL research (2014-2017 – see Table 2), Parma is the only city in Emilia-Romagna where the TARI (acronym for the italian waste tax) of a family falls (-3.1%). Instead in Piacenza and Reggio Emilia, the cost increases by 8.5% and 9.7% respectively (the latter is the most marked increase in the region among the 9 capital cities). In fact, for Parma, the true situation is even better than the data shows. Considering that including the maximum discount available through the pay-as-you-throw charging (a max of 30 residual waste collections/year for a family of 4) the 2017 tariff drops to €257.53 in comparison to the average cost of €263.45 in the UIL report (see Table 3). This maximum discount of 30 residual waste collections per year, was shown by Iren at the end of 2015 to be achieved by 80% of Parma’s families with a trend which has been shown to continue into later months. Noticable differences to the family budget (almost €60 difference between a family from Parma and that of Reggio Emilia) also demonstrate to skeptics that the kerbside collection model combined with pay-as-you-throw billing is not necessarily the most expensive compared to collection with free access waste containers on the road, as it is often claimed to discourage environmentally minded administrators from pursuing alternative paths to the continuation of “business as usual”. A drastic drop of disposal costs between 2012 and 2016, that fallen from €8.5 million to €2.7 million. CONAI (the Italian consortium of packaging materials producers – who contribute to municipal material collection costs) revenues increasing due to the higher quantity and quality of recovered materials (from €580k to €1.5 million between 2012 and 2016 for revenues coming from the sale of plastics, glass, paper and cardboard). It is therefore, possible to conclude that with a strong political commitment, with the powers held by individual municipalities to make change and involve citizens, we can obtain performances that were previously unthinkable until a few years ago for complex urban contexts. The time is indeed ripe to steer waste management policies towards the circular economy. 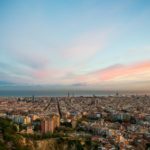 This shift even sees large cities such as New York, Paris and Barcelona paying close attention to the Italian model, and seriously reevaluating conventional waste management’s use of landfills and incinerators. Gabriele Folli, formerly activist in Zero Waste campaigns, he was appointed Deputy Mayor for Environment in the city of Parma (Italy) in 2012, where has introduced kerbside collection and a pay-as-you-throw scheme for the whole population (195,000 inhabitants; the first case of this size in Italy) passing from 48% to 80% in less than 5 years. He has explained the path followed in many conferences and seminars around Europe (Madrid, Girona, Rome, Bari, Naples, Kassel, Brussels, Florence and Paris among the others).